How much will the closure of bank branches affect customers? February 04, 2019, 11:48 a.m.
Last week Santander announced it was closing 140 UK branches, saying: “The way our customers are choosing to bank with us has changed dramatically in recent years, with more and more customers using online and mobile channels." They’re not the first bank to take such a step. Over the past few years HSBC, NatWest and Lloyds have also closed a number of branches for similar reasons. But how many people still rely on bricks and mortar branches, and who will be most affected by their closure? YouGov data shows that almost one in five (17%) Britons still visit a bank branch at least monthly. This figure is slightly lower among Santander customers (15%) than the industry as a whole. By comparison, 27% of Barclays customers and 25% of Lloyds customers visit their bank at least monthly. In terms of internet banking, the majority of all bank customers log in at least once a month. However, mobile apps are not as widely used, with just under half (48%) of Santander customers opening the app in an average month. Among NatWest customers, this figure rises to almost two thirds (65%). 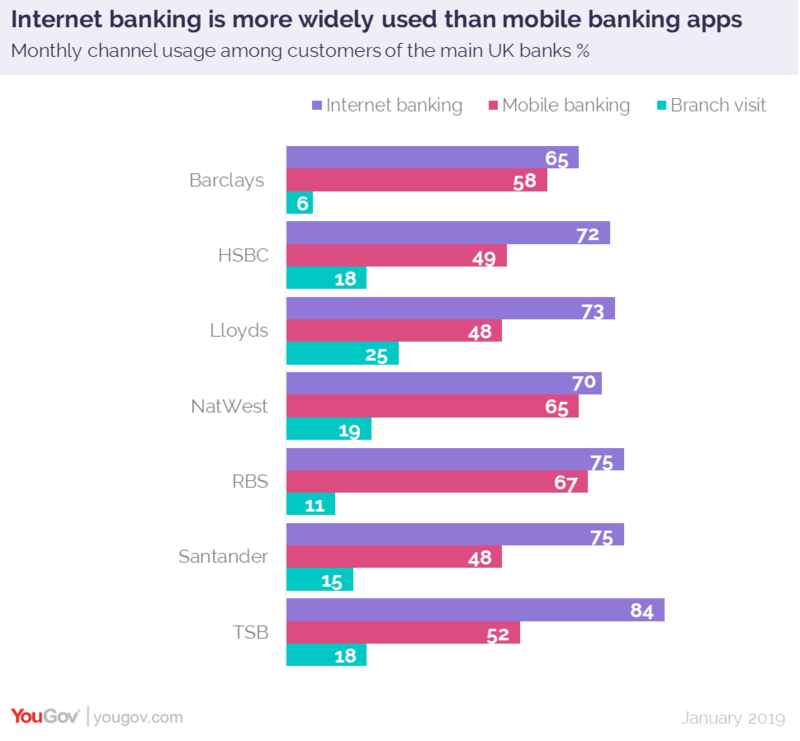 So while Santander customers are less likely to rely on branches, they’re also less likely to have moved on to using the bank’s app. Unsurprisingly, our data shows that mainly older, retired people frequent physical bank branches. Almost a third (32%) are over 65, and 33% are retired. Their reluctance to bank digitally is not necessarily due to a lack of access: almost all (93%) own a mobile phone and 75% have a laptop. It seems to be because they either don’t understand the technology or that they don’t trust it. 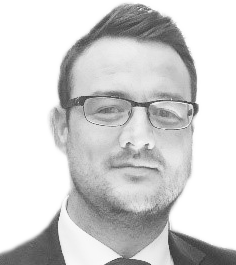 Six in ten (60%) of those who visit their branch at least monthly say they find the pace of new technology overwhelming and 42% say they “don’t understand the decisions made by computers”. Over a third (36%) explicitly say they are uncomfortable using online banking. The majority also prefer to use cash when shopping (52%) and, aside from banking, just over a quarter (26%) say they never make online purchases. Despite this, closing branches is unlikely to lead to banks losing these customers. Almost three quarters (73%) believe all banks are basically on a par with each other, indicating that they’re unlikely to move their accounts elsewhere.